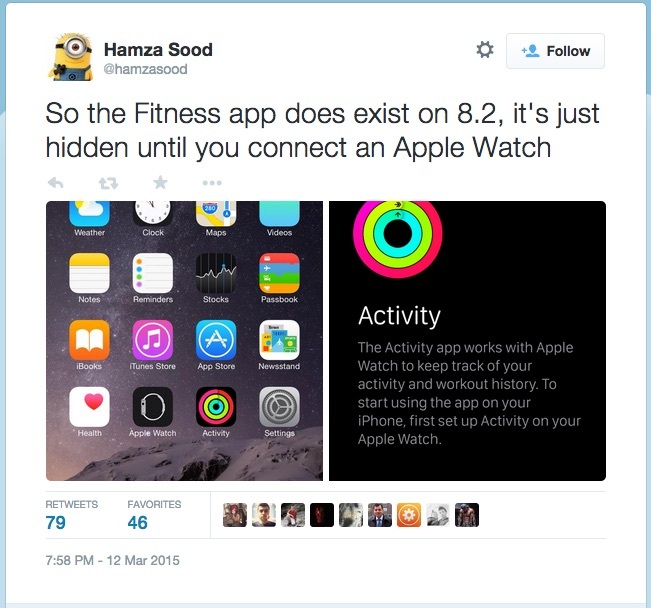 Hamza Sood, an app developer, has been digging around inside the public iOS 8.2 build that we received on Monday. 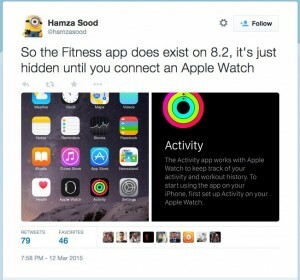 What he has found is that in addition to the Apple Watch app that you can’t delete, whether you want it or not, there is also an Activity app. Apple has not shared any details about the app, but Sood told 9to5Mac that the app automatically appears on your Home screen when you pair an Apple Watch with your iPhone. The app certainly should not appear until you’ve paired with an Apple Watch. After all, it is useless without a Watch. 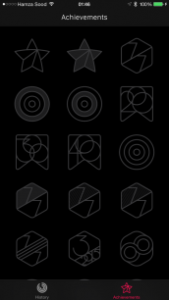 Once it appears, the icon shows the three rings of the Apple Watch’s fitness app. Each ring shows the amount of standing, walking and brisk exercise you achieved in one day. 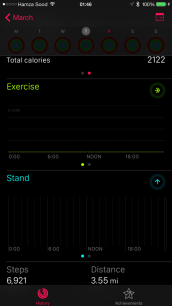 The screenshots below, via 9to5Mac, show a very comprehensive app complete with graphs over a time of activity. You can also access information about the achievements unlocked by completing certain goals. These achievements show up as flat outlines, but are fully graphical videos on the Watch. 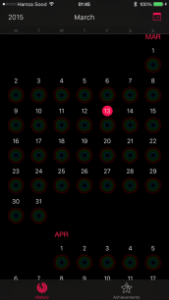 The Activity app appears to be a full representation of its companion on the Watch, but optimized for the larger display of the iPhone. 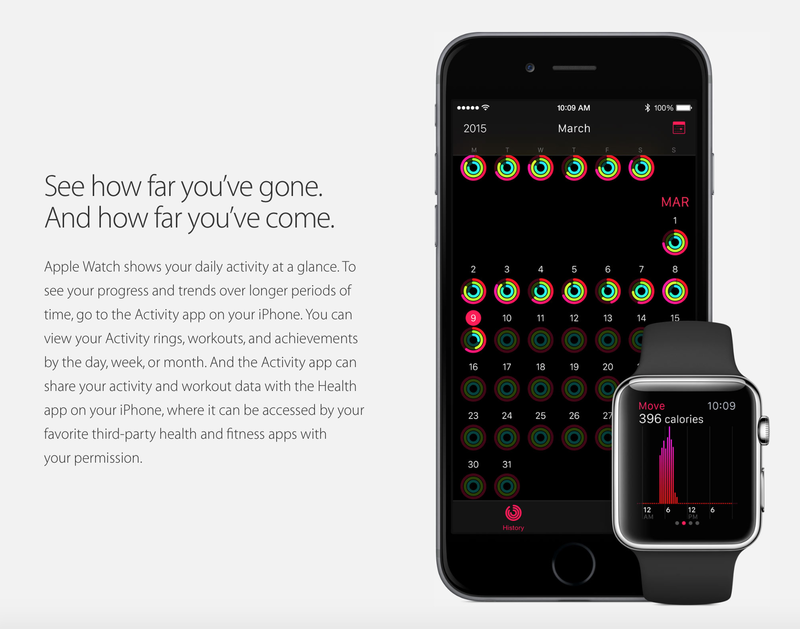 The app has the same black user interface on the Apple Watch, and uses Apple’s San Francisco font. 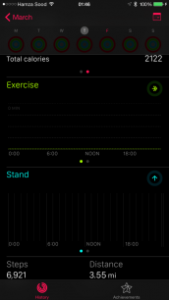 According to Sood, Activity lets you manage sharing activity and workout data with the Health app. 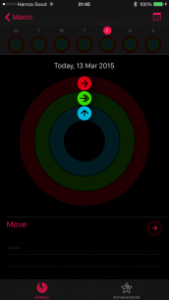 It’s nice to see this app come to light, because it shows the sort of capabilities we and developers will be able to use to coordinate with the Activity app on the Watch. Third-party developers will likely be able to access the data Activity shares with the Health app, with user permission. This means the possibility of even more fitness-related apps that operate in tandem with the Activity app on the Apple Watch. As a reminder, the Apple Watch begins preorders on April 10, and launches on April 24.